This week has been CRAZY. Not only was it busy, but Josh broke his ankle. Oy vey. He has been in the hospital since Wednesday night and had to have surgery. Luckily he gets released today, and the surgery went very well. I will be so happy to have him back. 1. 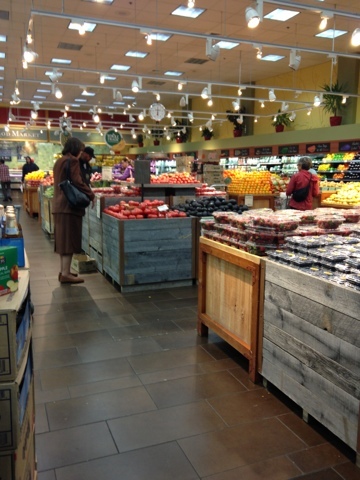 Josh's hospital was near a Whole Foods. Love that store!!! While I waited for him to get out of surgery I enjoyed walking through the aisles. 2. 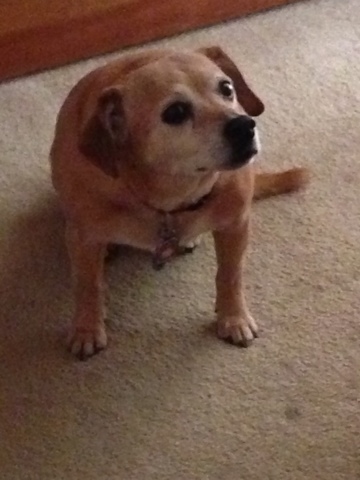 I miss having a pet so I am enjoying dog sitting for this cute lil lady. Coming home from the hospital to this sweet face was a delight...although I don't think she likes having her picture taken. 3. Have you tried LARA Bars? My friend Victoria introduced them to me awhile back and they have become my favorite snack bar. They are made with only natural ingredients. 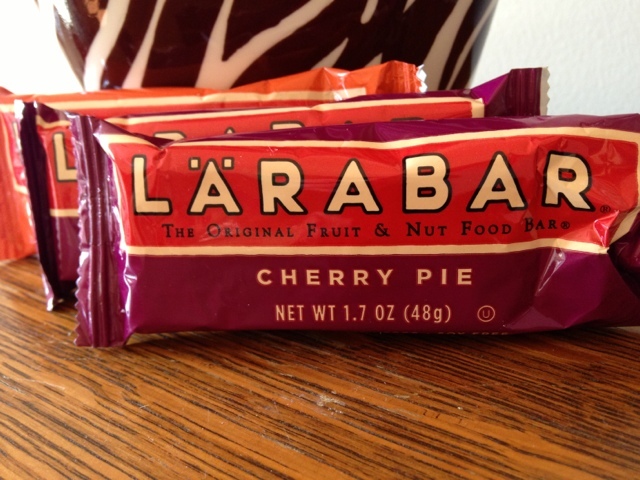 For example: the Cherry Pie Flavor (my favorite) has dates, almonds and cherries in it. THAT IS IT! Wow! And it tastes phenomenal. Plus they are Paleo. 4. 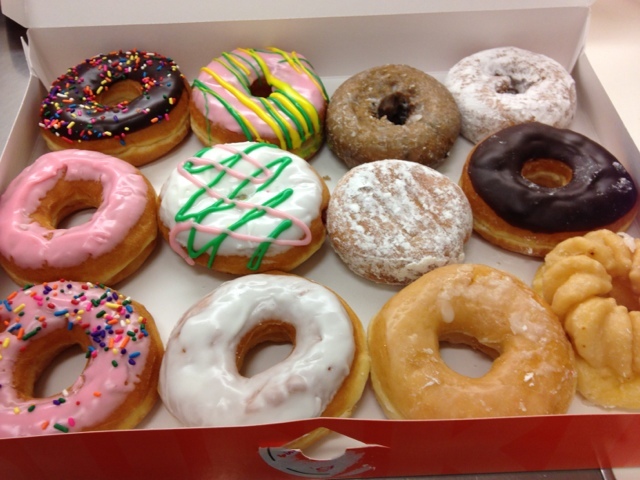 What is not Paleo are these donuts that I brought into the office this morning. Not paleo, but also very scrumptious! 5. 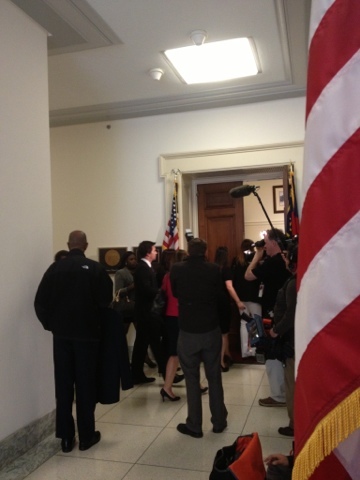 On Wednesday, Mark Wahlberg walked by my office. No bid deal! Although he doesn't know it, we are now close friends and I have several pictures of his side profile as well as the back of his head to prove it. Dog sitting/chilling with Josh and his hurt foot...but very excited about both...Josh and the dog...not the hurt foot! 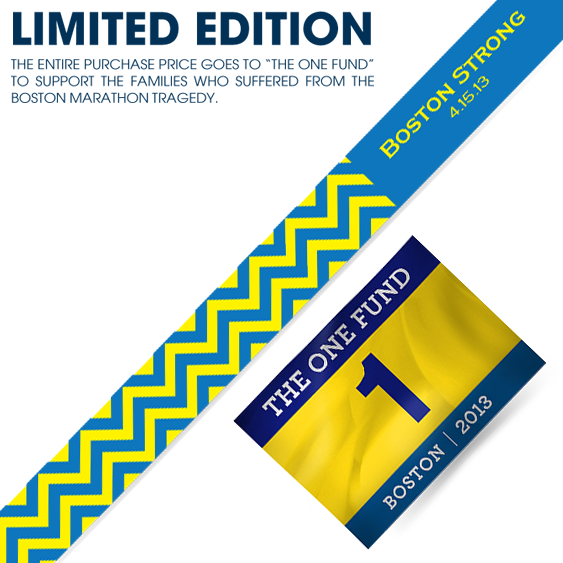 On a quick side note, if you are looking for a way to give back to those hurt by the tragedy in Boston, BIC Bands is selling a Boston hair band and 100% of the proceeds goes to "The One Fund" that helps those who were affected. I just purchased one, and you can too by clicking HERE!